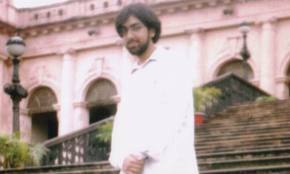 Talha Ahsan was arrested from his house in Tooting on 19th July 2006. Ever since that day he has remained in prison despite never having been charged. For the past six years his friends and family have been protesting tirelessly for his release. Ahsan is now awaiting extradition to the US. Please join an evening of music, comedy and enlightenment as support for the campaign to free Talha Ahsan. For more information on a similar story of injustice, check out the links below which show Shaker Aamer‘s story and fight to be released from Guantánamo. Here is a link to view Spectacle’s film ‘Shaker Aamer: A Decade of Injustice‘ or you can buy the film here. This entry was posted in Events and tagged extradition to the US, Guantanamo, Rich Mix, Saturday September 8th, Shaker Aamer, Talha Ahsan by Anna Watkins. Bookmark the permalink.